TwinWest exists to champion GROWTH & PROSPERITY through catalytic leadership and dynamic partnerships. When you choose the TwinWest Chamber of Commerce, you are joining over 750 other businesses, representing 50,000 business leaders who make up the voice of business in the west metro. As the chamber continues to grow, so do the benefits available to our membership. TwinWest’s members represent a variety of businesses and industries, ranging from national and internationally renowned corporations and manufacturers, to home-based businesses and companies involved in the service and professional sectors. 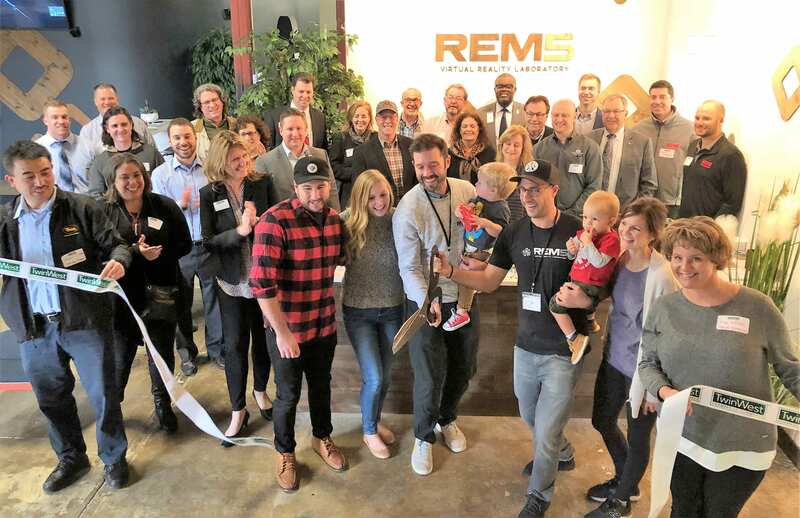 TwinWest is reputably the most active chamber of commerce in the region, due in large part to a group of dedicated volunteers whose civic leadership serves our committees, our Board of Directors, our Foundation, and our many events and programs. In 1984, TwinWest, as we recognize it today, was formed through the merger of several chambers of commerce. At the time, and ever since, TwinWest leaders have vowed to give up parochial differences and embrace the public policy advantages and networking opportunities of a Regional Chamber of Commerce. 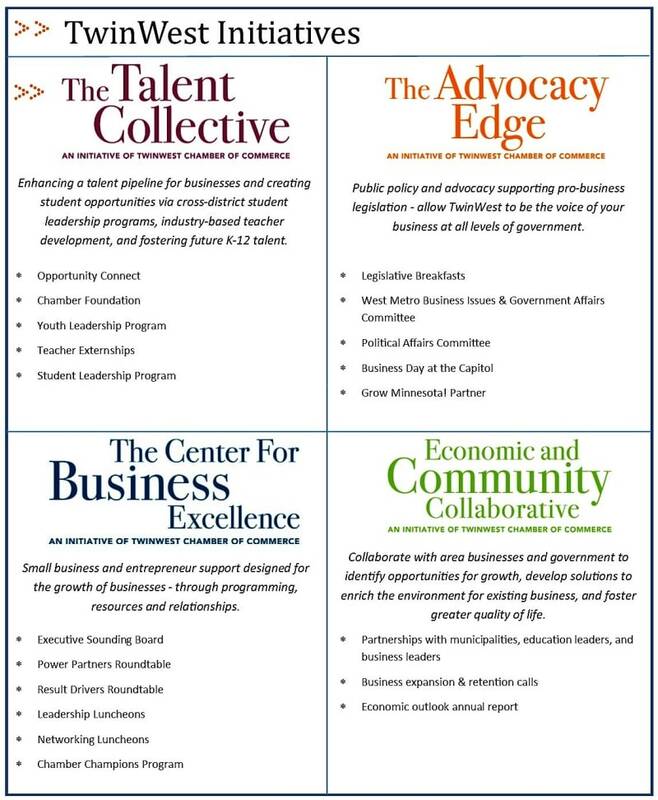 A history of representing the business community - that's TwinWest!